Today we take a look at ideas for decorating kitchen windows. 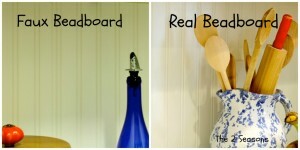 We share a kitchen bay window decorating idea using wallpaper. Pop-out windows aren’t a new idea. Back in the good old days they were referred to as “bay windows” and were a common architectural design feature in old Victorian homes, usually found in the parlors and living rooms of the charmingly ostentatious houses. Today pop out/bay windows are enjoying an unexpected resurgence; they can now be found in kitchens, bedrooms, living rooms and dens. 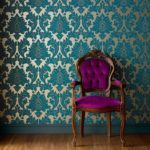 They are often a signature statement in modern homes; they create additional light, window sill space, even seating; but they can also present challenges when it comes to integrating them fully into your overall interior design. 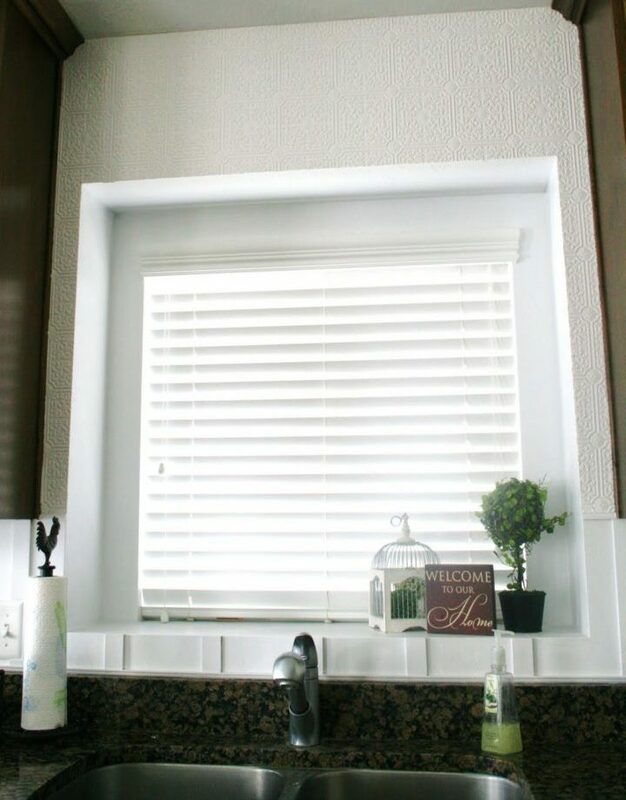 So let’s look at one solution…decorating your kitchen window with wallpaper. Shelley and her husband over at thehouseofsmiths.com, paid extra for the pop out kitchen window in their custom construction home. 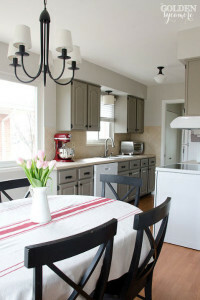 It was intended to be the central focus of the kitchen; a real centerpiece. 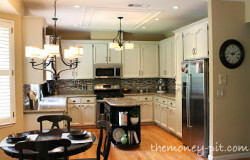 Once the cabinets were installed around the window, however, the surround left something to be desired. Originally the pair used some molding left over from framing other kitchen windows to top off the space but over time they became very dissatisfied with the effect; the molding was huge and heavy and detracted rather than added to the aesthetics of the window. They decided to pull the molding down, which left them with a hole in the wall and an ugly mess that at the very least required some patching, filling and repainting. They soon realized that a coat of paint wasn’t going to be enough; while the surround now had cleaner and more open lines, it was still just a little too plain. Luckily for Shelley a neighbor had a roll of textured wall paper left over from a remodeling project in her own home which she was happy to donate to her friend’s cause. 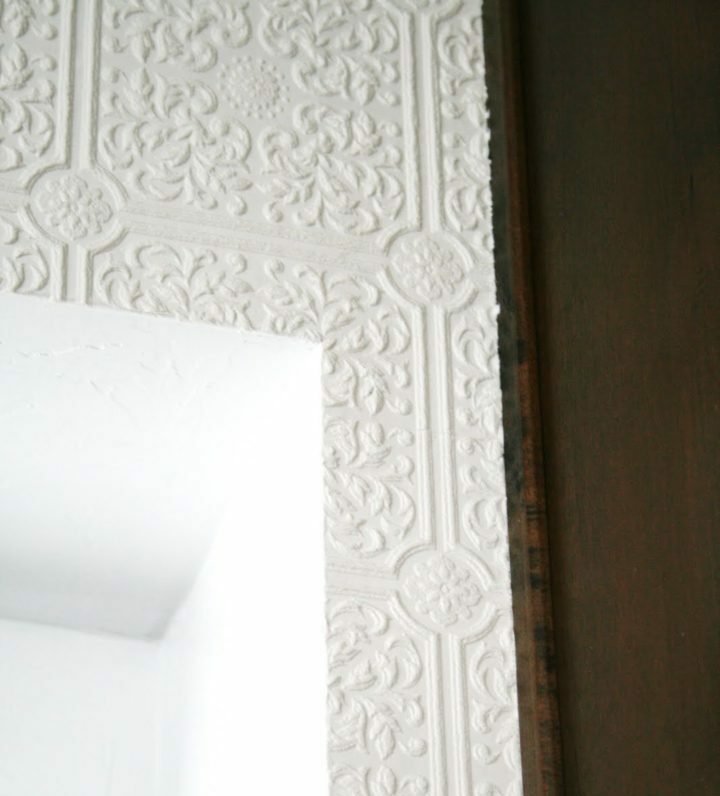 The wallpaper, with its classic bas-relief design seemed like the perfect element to decorate their bay window surround area easily and inexpensively. 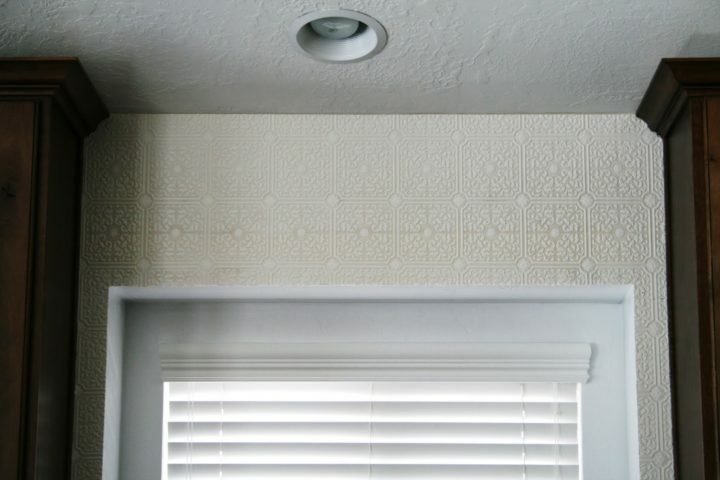 Shelley had no experience in hanging wallpaper, but fortunately husband Cason did. He ended up doing the install quickly and expertly; including fitting the wallpaper to the crown molding of the cabinetry. 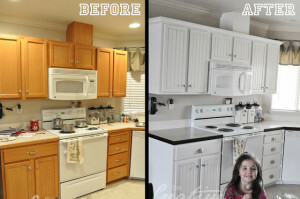 He also extended it down the narrow margins on each side of the window to the bottom edge of the cabinets where he had to shimmy it in to the pre-existing backsplash. After 72 hours, the wall paper was completely dry and ready for a coat of paint, which Shelley determined she would add to make the kitchen window treatment really pop. The end result is a lovely “textured plaster” effect that definitely adds visual appeal and understated class to the kitchen bay window surround. Do you have any ideas for decorating kitchen windows? We’d love to hear from you, just submit your project and we’ll do our best to feature it.